It’s time to ditch the meaty winter rubber and swap on some grippy rubber bands. Direzza ZII star specs are discontinued and inventory is basically gone so as I see it, I have two choices. They’re both 200tw. Both same price. One is brand new, one is tried and true... Which do I pick??? Dunlop Direzza Z3 or Potenza RE71R? Oh and in an act of pure class, the Subaru offered itself up for sale to help it’s injured brother recover. The Outback is sold. 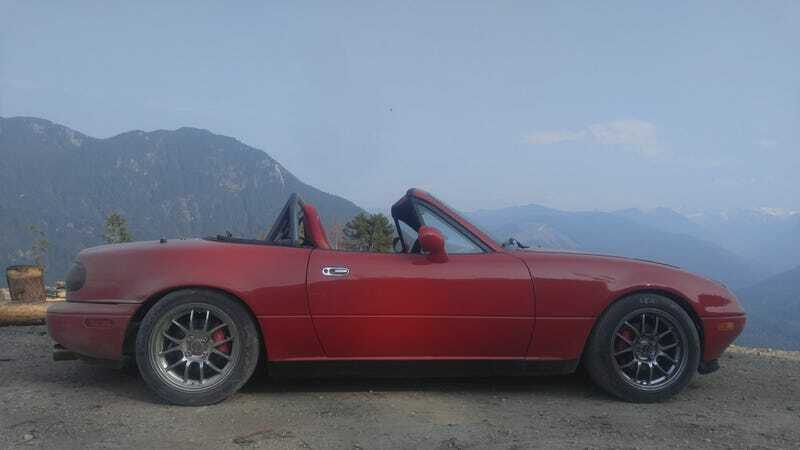 The Miata has upgraded versions of the stolen items ordered and on the way... We’ll never forget your sacrifice Blubaru. Mostly because you were bought by my neighbor so I’ll still see you daily!